Here are some photos of the things I have made. 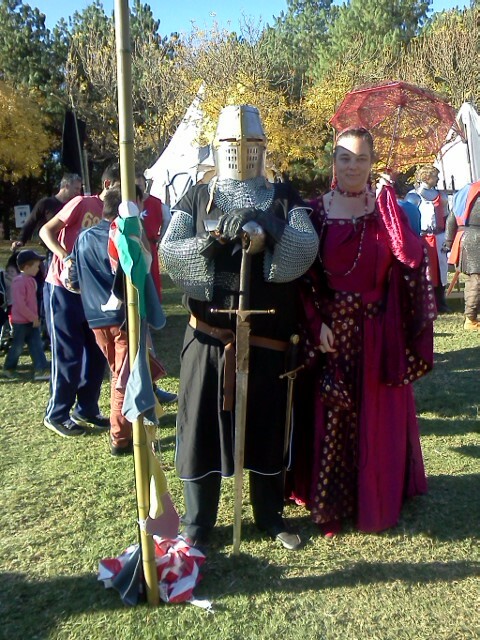 My latest creations are for this years Medieval Fayre being held at Nurringingy Reserve at Doonside 18-19th May 2013. I also made a necklace but there was a bit of a disaster with that so I remade it, I have tried it on with the dress and it looks pretty good. 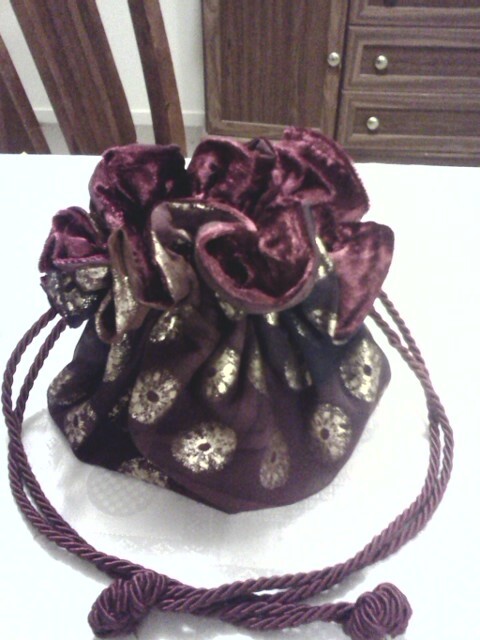 I have made a little bag to carry my things in, also a fabric covered headband and a belt to wear also. I had found this awesome fabric at Spotlight which was so pretty, I have since realised that I need more of it but haven't been able to find it again ( OH WELL ). I found a pattern for the dress but in the beginning kept looking on line to find different dresses but always came back to the same one, so that's the one it had to be. I had gone to our local craft stores to find that the pattern was $20, me being me couldn't bring myself to pay that much so I searched on eBay and found it for $5. I am now almost a year later close to finishing the dress and accessories for the Fayre. We have a busy couple of months ahead with a 16th Birthday party for my friends daughter, its going to be a Harry Potter party,but that's another post. I love this snood, I got it off ebay along with the pattern for the dress. The original necklace I was going to make ended up not working so this is what I came up with. I had to put this cross on the front of the dress. My knight in shining armour. Thanks to Vicki for taking these 2 pictures. I had so many people want to take photos with me, I felt like a rockstar. Fabric covered headband. I bought a black plastic headband and cut strips of fabric and wound them around the headband. These next couple of pictures are of the belt I made. As it was green webbing I had to make a cover for it out of normal burgundy cotton then I covered it with the same fabric as the dress. 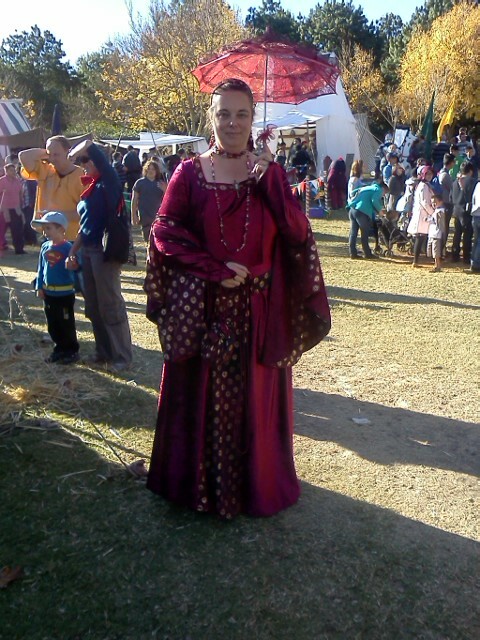 The next lot of photos are of the lace parasol I bought in white and decided to dye it burgundy. This is the little bag I made to carry my things on the day.